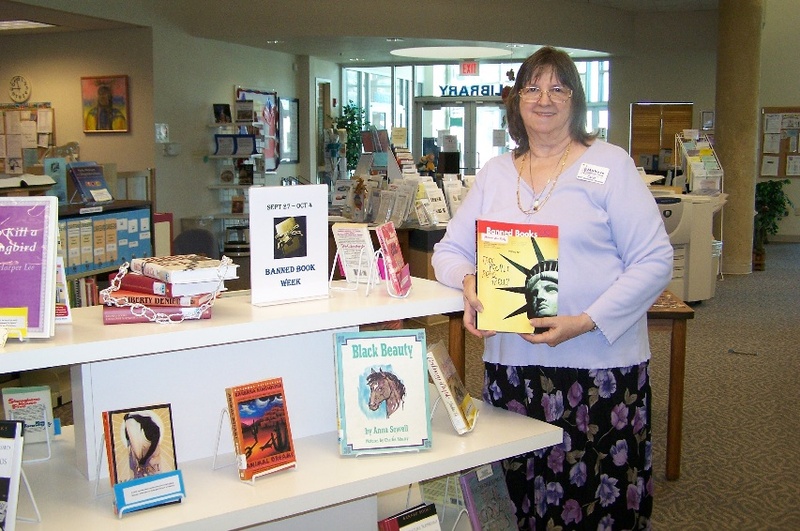 As part of their September Project, the Hargrove Library on Mohave Community College’s Bullhead City campus will be hosting a presentation as part of their “Talking Loudly in the Library” series. The Daughters of the American Revolution (DAR) will be presenting “The Constitution and the Bill of Rights,” at 6:00 PM on Tuesday, September 23, 2008. In preparation for this upcoming event, Hargrove Library, in conjunction with the DAR, has set up a patriotic bulletin board display. The purpose of this display and presentation is to emphasize citizens’ responsibilities for protecting and defending the Constitution, and preserving it for posterity. The DAR seeks to encourage all citizens across the country to take some time out this week and reflect on America’s heritage of freedom by reading and studying this great document that safeguards our American liberties. The Terrebonne Parish Library has seen some tough times the past few years. Katrina, Rita, Gustav, and Ike have all been unwelcome visitors to the community the library serves, and each year, Terrebonne comes back, a bit shaken, but strong. We were so delighted to hear from Lauren Ledet once again, proof that her community and her library can overcome, can unite, and can persevere again and again. I’ve said it many times before: Welcome back, Terrebonne, we’re glad you’re safe. After the last two weeks, Terrebonne has finally gotten back on its feet and is ready to (partially-fully) participate in the September Project. Much like the 2005 hurricane season featuring Katrina and Rita, Terrebonne Parish witnessed back-to-back hurricane’s that nearly devastated the parish. First, Gustav made a direct hit on our parish with the eye making landfall on our coast and basically traveling up the entire parish. Our damages were thankfully minor (trees, power lines, roofs, and the worst: no electricity for nearly two weeks). Then, we dodged Ike’s direct hit, but were inundated by his storm surge. Over half our parish was underwater due to the storm surge caused by Ike. In some homes, the water level reached over five feet. Luckily, no libraries were directly affected by the storm surge. For Gustav, however, we did see windows blown out and roof damage to branches, and that eventually resulted in mold growth. That’s being dealt with currently. Of our nine branches, four are back up and running, one being our book mobile! So, because of our shortage of branches and our reopening to the public only this week, we are really having a condensed version of the program this year. On September 28 the community band will play a patriotic concert at the Main Library. Other than that, we will have a display of photographs of the USS New York, built of scrap metal from the World Trade Center that was melted down in a foundry in Amite, Louisiana, about 100 miles from Houma. We had many things scheduled here (a voter registration drive, broadcasts of presidential debates, and library card sign ups with a diplomatic twist), but I think, for now, we’ll make do with our safety, our lives, and our libraries! 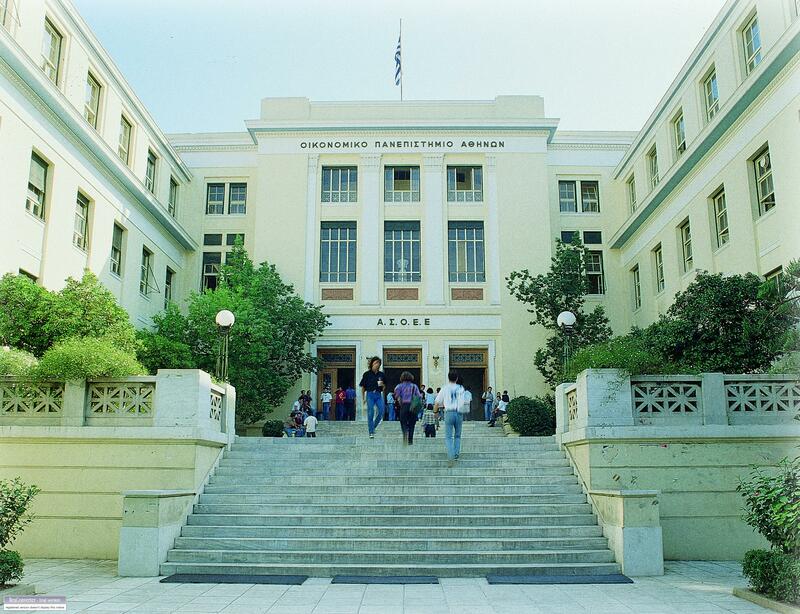 The Library of the Athens University of Economics & Business returns! Professor E. J. Yannakoudakis, Chairman of the Library of the Athens University of Economics & Business, in Athens, Greece, recently emailed to say their library would be once again participating in the September Project. It’s nice to welcome back, for the fourth or fifth time, the Library of the Athens University of Economics & Business. 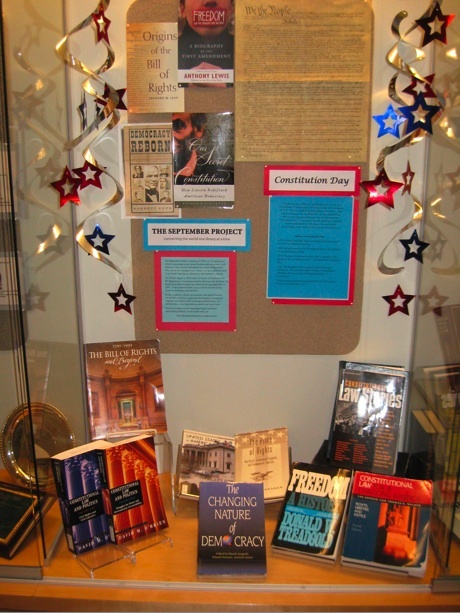 Via the project listserv, we learned that the University of Washington’s Gallagher Law Library has designed a September Project and Constitution Day display. 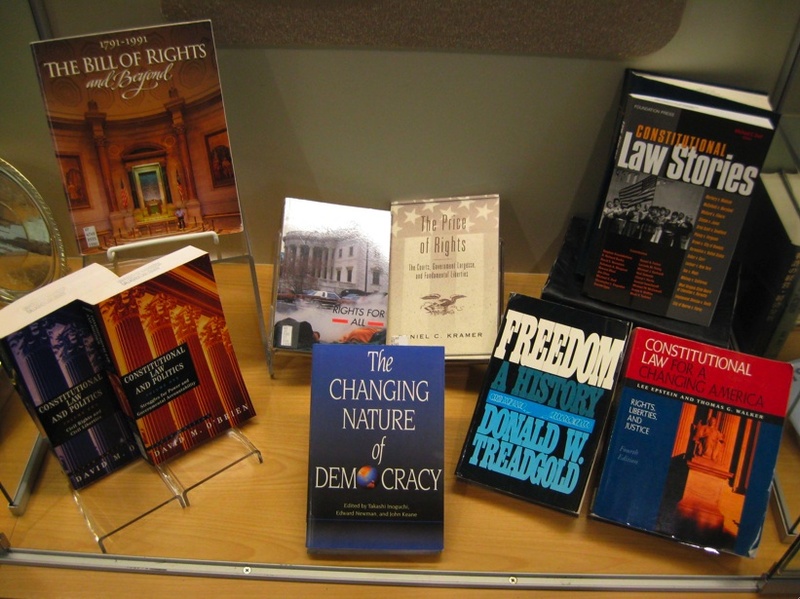 The display includes books on the US Constitution, democracy, and freedom. The display was organized by Jessica Moskowitz, a Library Technician at Gallagher Law Library, a MILS student in UW’s Information School, and … a former undergraduate student of mine! Rock on Jessica! Each year, I’m amazed and humbled by the people who join this project. 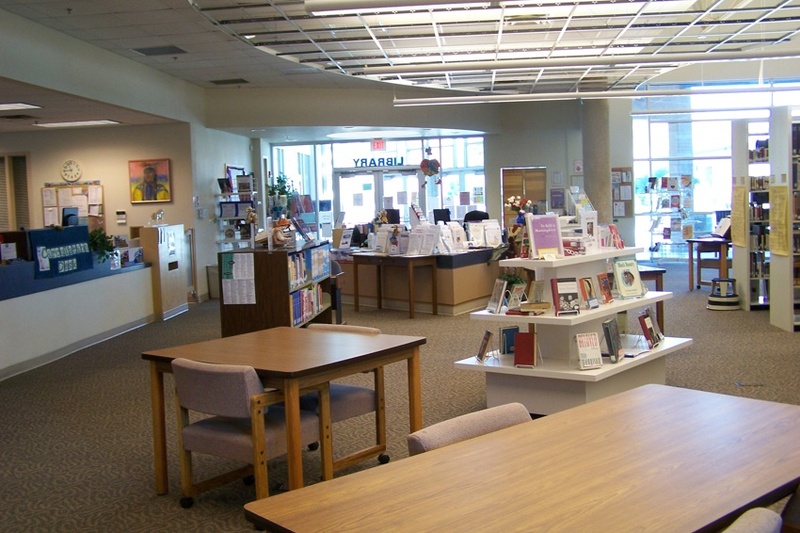 Although each event is unique, libraries are united by their dedication to organizing events that reflect their communities. Events explore notions of what it means to enjoy freedom, or what a peaceful planet may look like, or how the pursuit of a better world means difficult discussions with potentially enlightening results. These thoughts surrounded me as we heard from Roma Baristaite, of the Povilas Visinskis Public Library in Lithuania. She was kind enough to include photos of her library’s program, which truly brought to life her library, her patrons, and her community. I’ve never visited Lithuania, but now I feel a bit closer, and a lot more curious. Roma sent several photos, and this one, above, caught my attention. The intense focus intrigued me; proof that Roma and her colleagues organized a compelling event. 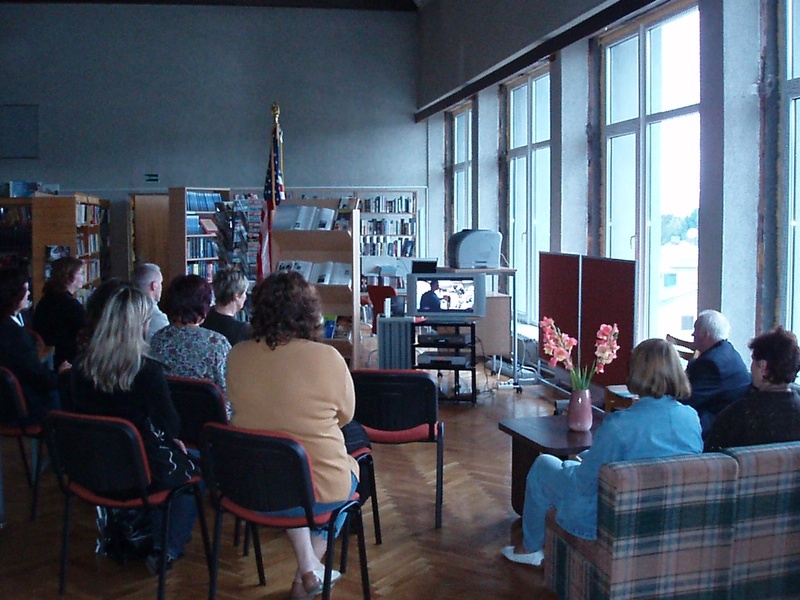 On September 11th we watched the documentary film “9/11” (2002, USA). 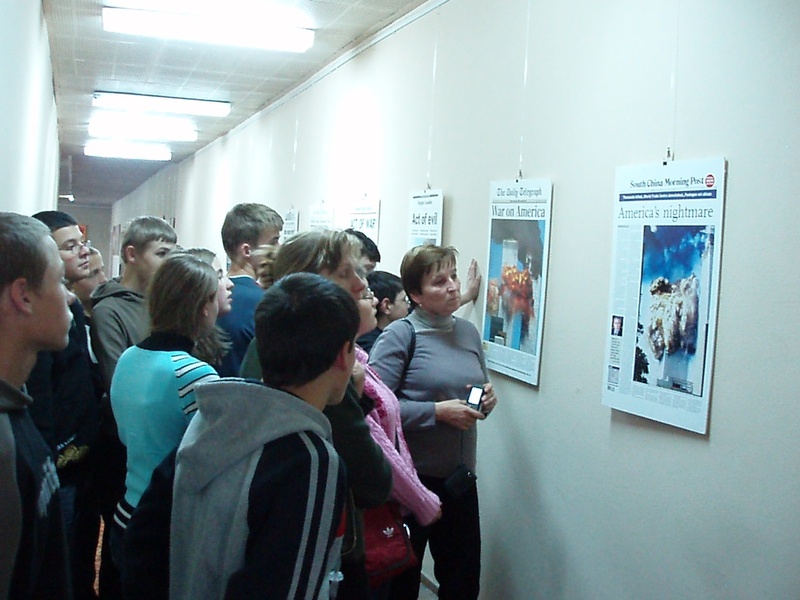 The participants had possibility to remember the tragic events in USA, in 2001. After the film they discussed about the situation in the USA and World today, how everything is changing after events in 2001, and what can we do, that it would never happen again. Nicely said, Rachel. What you describe is what David and I dreamed of five years ago, and it is overwhelming and beautiful to read your words and nod my head in agreement. Thanks to everyone for being a part of it. On Tuesday, October 7, one of the three 2008 Presidential debates between Senators Barack Obama and John McCain will be held at Belmont University in Nashville, TN. This debate will be a town hall format moderated by Tom Brokaw. The moderator will call on members of the audience as well as select questions submitted online. During this election year, we are looking for librarians and library supporters from across the country to call attention to the value of today’s libraries in our communities, as well as the issues the library community is facing. We encourage all ALA members to submit questions. The Commission on Presidential Debates has partnered with MySpace to create a new Web site, www.MyDebates.org. This site will become available in the days leading up to the first Presidential debate on September 26. The more questions submitted, the more likely a library question will be asked. This is an opportunity for the library voice to become an important part of the 2008 Presidential election. The Alexandrian Free Library is pleased to present a second discussion led by Tom Bukowski, author of the book Coming of Age in SecondLife. This discussion will focus on the concepts of freedom and independence, and how these concepts are expressed in a virtual world such as SecondLife. It will be the first September Project event ever held in SecondLife. Now this is the beauty of SecondLife: wherever you may be on September 21, consider checking out this event!